What is Going on In Google offices? 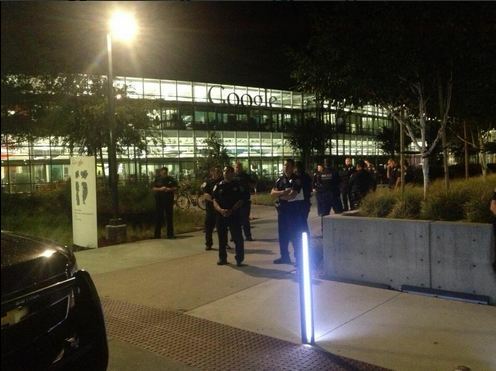 There’s apparently some rallying shenanigans happening in the Google offices in Mountain view right now. 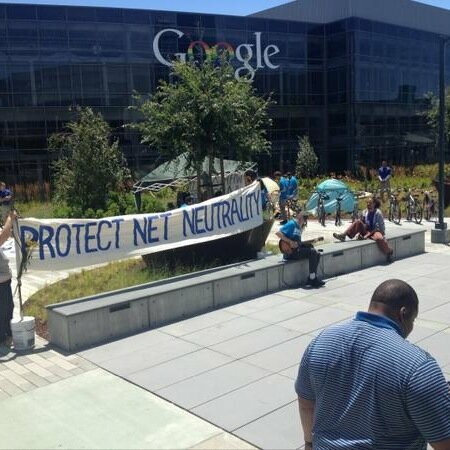 There are some folks who are demanding for “net neutrality” and asking Google to do more to make the net a better place. While I’m not fairly certain what net neutrality is in the context of asking Google to do it (since they already have been huge advocates of net neutrality. From what I could understand, they are discouraging prioritized results based on what sponsors or people pay for which I agree would break and just make filtering through actual good results that much crappier. The group who’s spearheading this effort is called Occupy Google (@occupygoogl) and it does seem that the protests that they are staging have been peaceful and quiet. There have been cops dispatched to disperse the crowds though. Hopefully this sends some sort of message to big companies who have the influence to not mess up the internet.